Edibles are produced and consumed in communities many local and state food safety agencies serve and protect. With cannabis usage growing in acceptability across the country, and changing regulations in many states, legalizing its use both recreationally and for medicinal purposes, is becoming common. While these are exciting times for many, they raise questions about the safety of these products, and how should it be regulated and inspected. Many states and local food safety agencies currently or will have a need in the future to quickly, effectively and efficiently establish food safety programs around this ever-evolving industry. Whether you already have an established food safety program in place, or will need to in the future, you may find value in the following NEHA resources and tools. 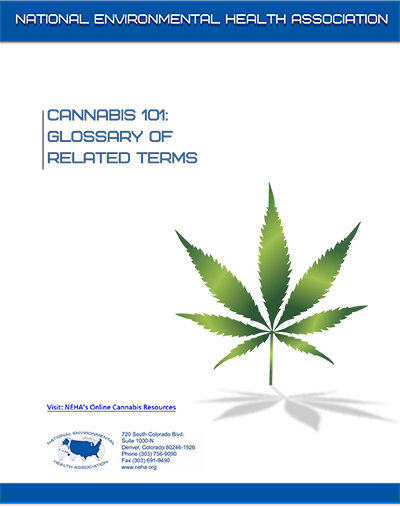 Details over 60 definitions and concepts that relate to cannabis-infused products! Great for food safety professionals and industry workers to understand and see pictures of common terms/products when out in the field. 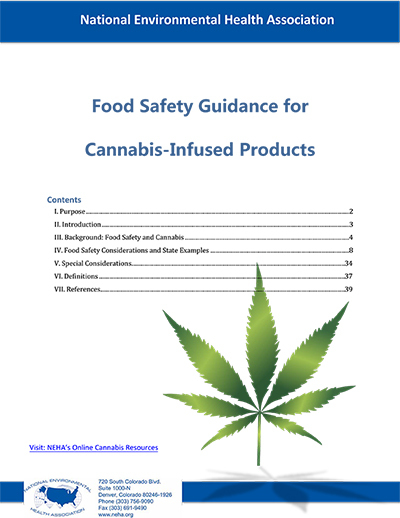 Need to set up a cannabis food safety program, or looking for ways to improve your current one? This guidance document can be used as a reference to learn what other states have done, and to see which states have strong regulation in a variety of topic areas. NEHA cannabis webinars include a focus on environmental health and edible cannabis products. * A special thank you to the NEHA Food Safety Policy Statement Workgroup and the Cannabis Advisory Committee for all your work…your expertise and insights are invaluable!